Travelling can be defined as the best way to rejuvenate your mind and soul and also spend a relaxing time with your family members and friends. On the other hand, there are times when you have to travel alone for an adventurous trip. It can also be stated as a rewarding challenge, as you will not get any support from any of your family members or friends, and only from the native people of your location. 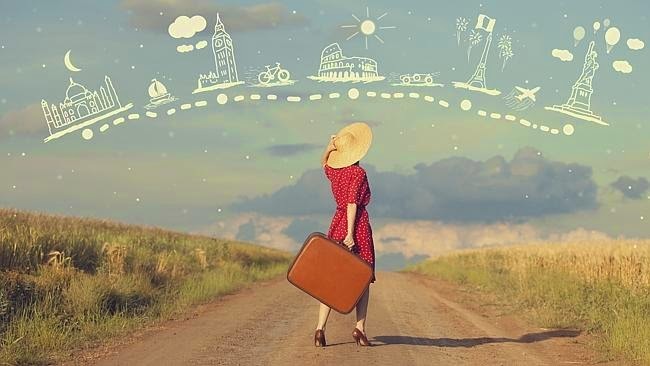 In the modern trend, female travelers and Australians are coming up with the alone traveling trend more and it is going to create a huge impact on the companies, which are solely focusing towards the women who are planning to travel alone. Whenever you are planning on travel solo, there are some pivotal points, which you need to focus at, in order o maintain the safety measures. The traveling tips are going to be useful and are mostly provided by none other than professionals who are associated with this zone, for quite some time now. You can easily browse through the internet and come across some fruitful articles, dealing with the same field of solo travelling points. Listed below are some eminent points, which are to be noted down while travelling alone. Always be aware of the place you are visiting and prepare a full research plan beforehand. As a safety plays a pivotal role, therefore; make sure to not draw much attention towards your own self. Always keep your eyes open and make sure to keep all the emergency numbers near hand. Keeping proper connection is another area, which you need to deal with. You are advised to leave some copies of your itinerary along with other forms of travel documents with any family member or friend at home. On the other hand, make sure to stay connected with them through e-mails, phones and more. Make sure to arrive at railway stations and airports before time to avoid flight miss out. Make out the plans before and prepare your bag packs accordingly, to avoid any sort of the negative result, in the end. On the other hand, make yourself strong and look up for some adventurous trip before you. Always open your mind and heart to new experiences, which are waiting you and try to create communication with native people, so that they can help you in your travel. Another eminent point to be kept in mind is to pack smart and always take the limited number of products, which you need, at the max. Always remember that you are not allowed to carry more than 20 kg of products in flight and, therefore; try to pack limitedly and smart. On the other hand, there are some tadoba hotels, which can provide you with some basic necessities, like soap, paste and all. Learning few phrase and a little bit of local language can also help you a lot. It will help in creating a friendly environment between you and the native people and you do not have to waste much time while looking for any tourist attraction spot. Make sure to not kill your own time and time of others, as everyone is not on vacation as you are. It is always advisable to pre-book your hotels, cars and other services to avoid last minute rush. This will also help in saving some time and energy, as well. On the other hand, if you can book your services through online stores, you can enjoy some lucrative discounts on the services offered. However, make sure to check the credentials of the companies before jumping for a final say. Author Bio: Natalie Hathaway is going to offer you with detailed information on Tadoba hotels and other reliable options, which you must be aware of, when the main area of concern is related with solo adventurous tours.